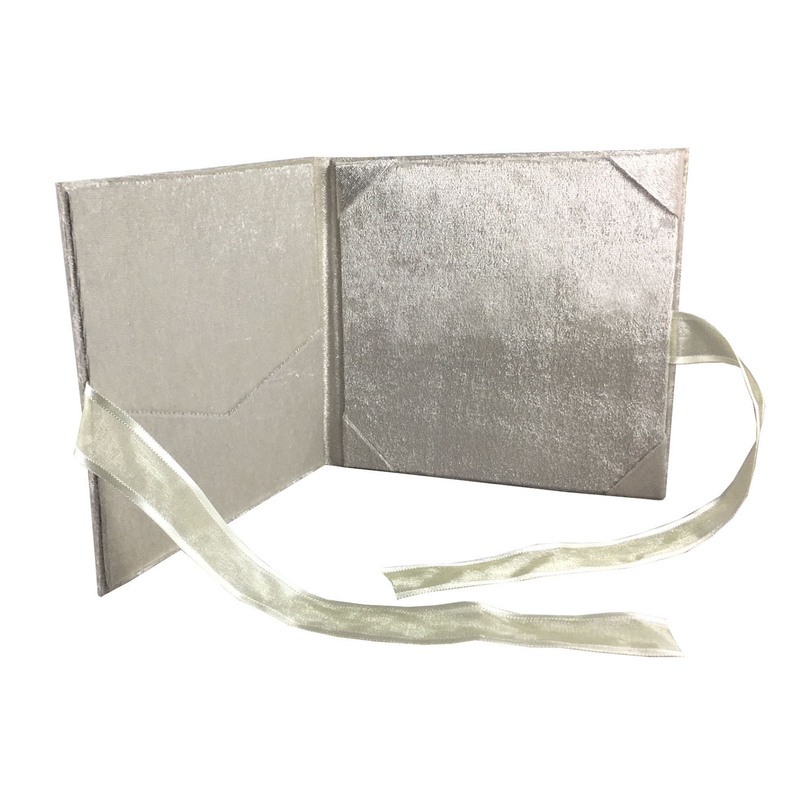 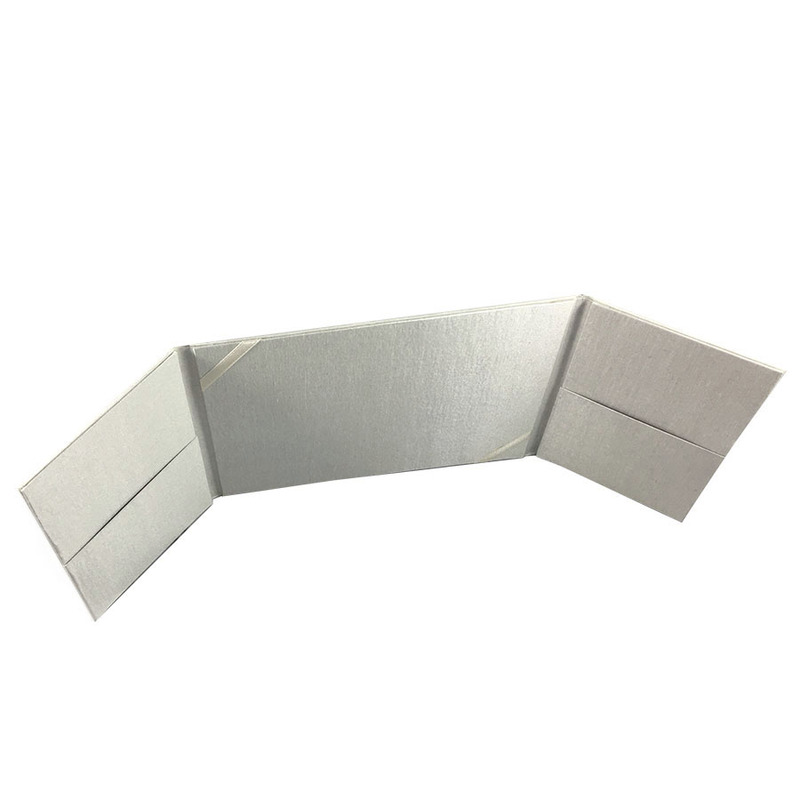 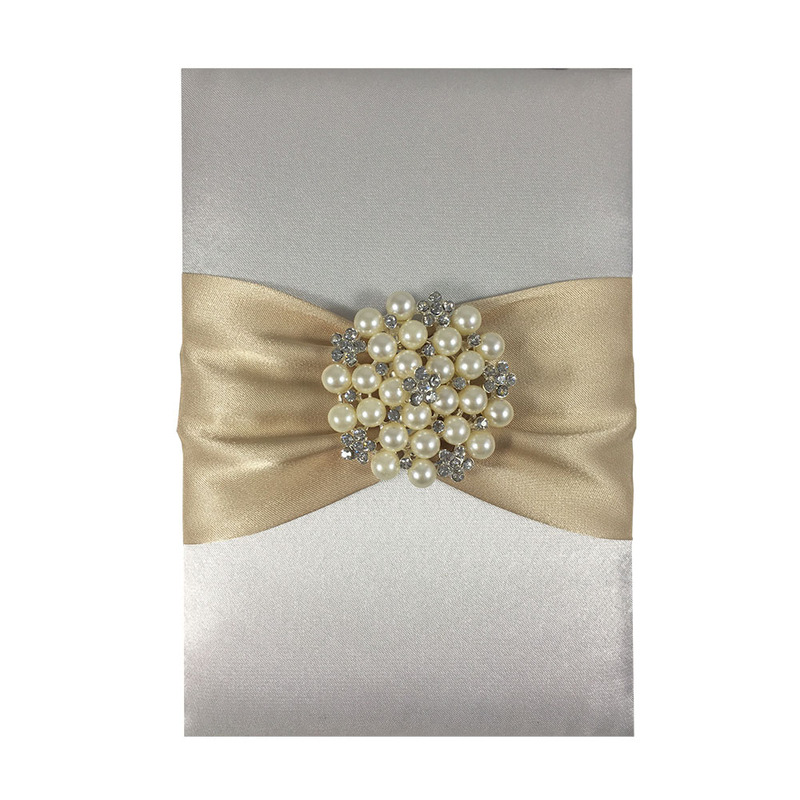 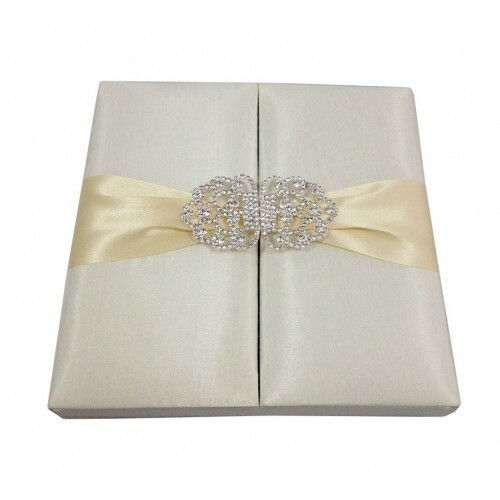 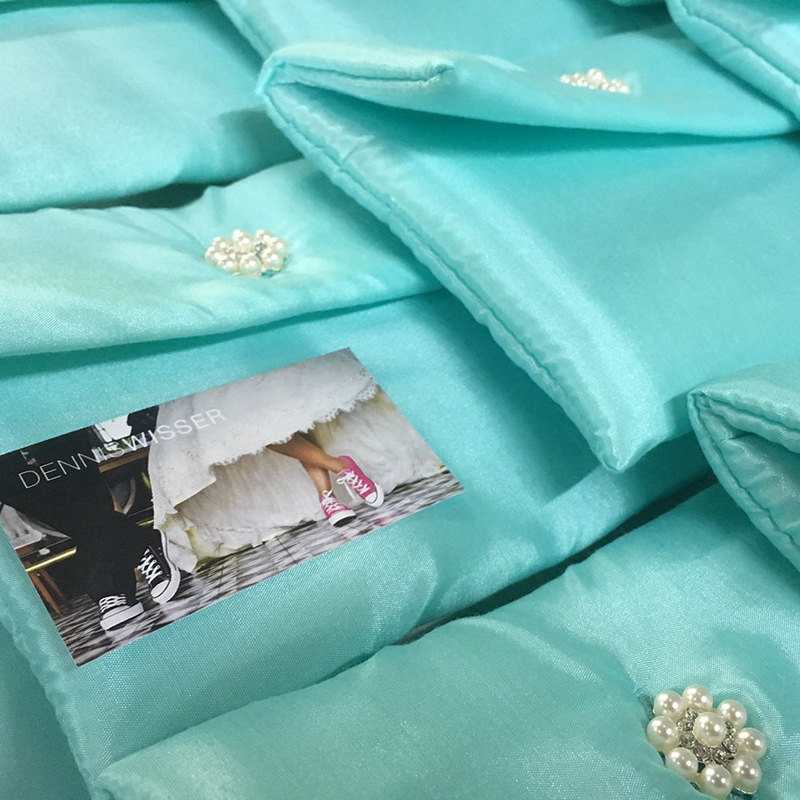 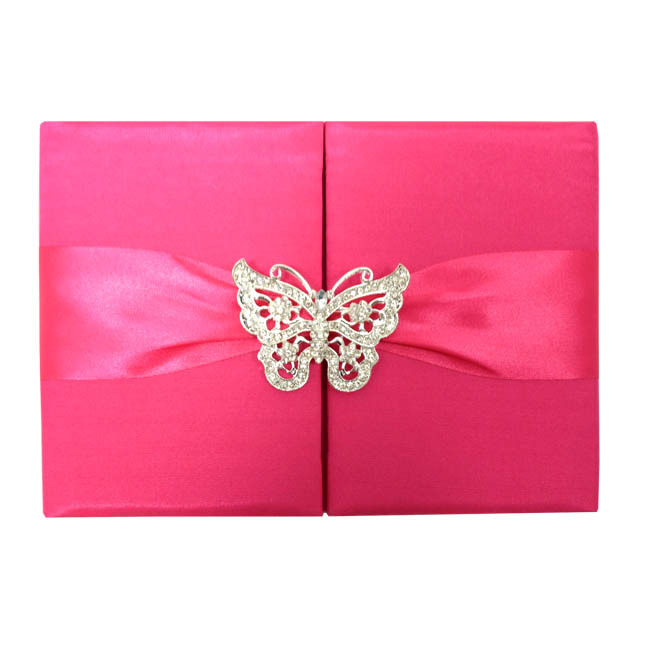 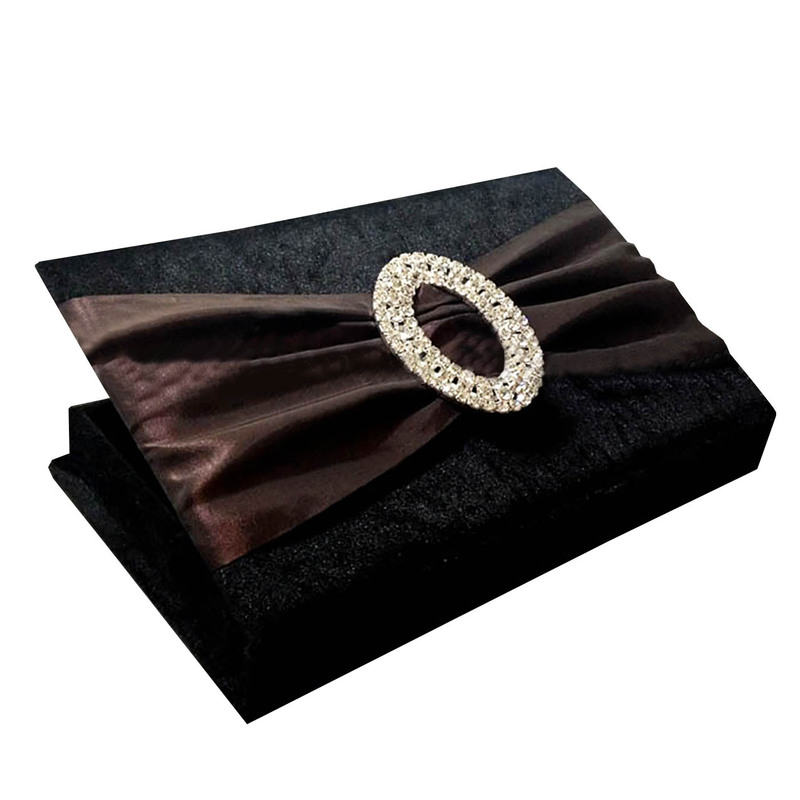 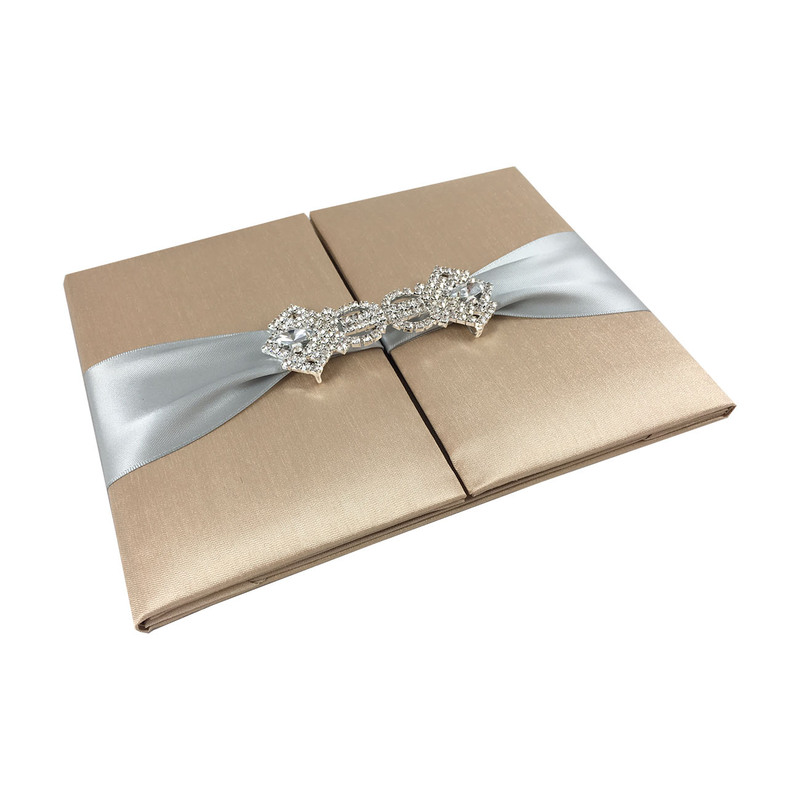 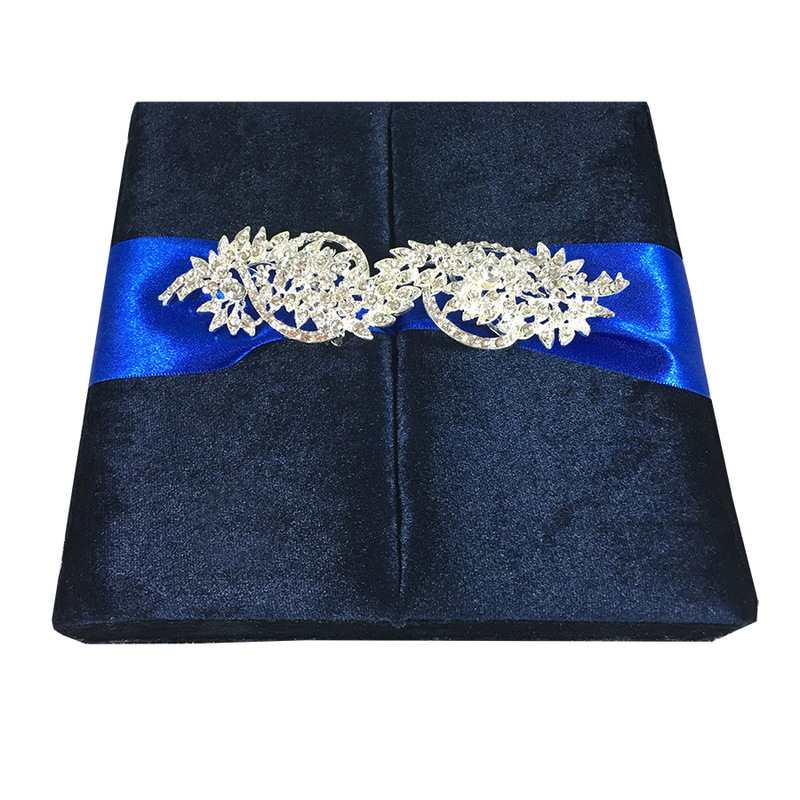 This square shaped silk pouch can be used either for wedding invitation cards or suits also perfectly for jewellery or favour packaging projects. 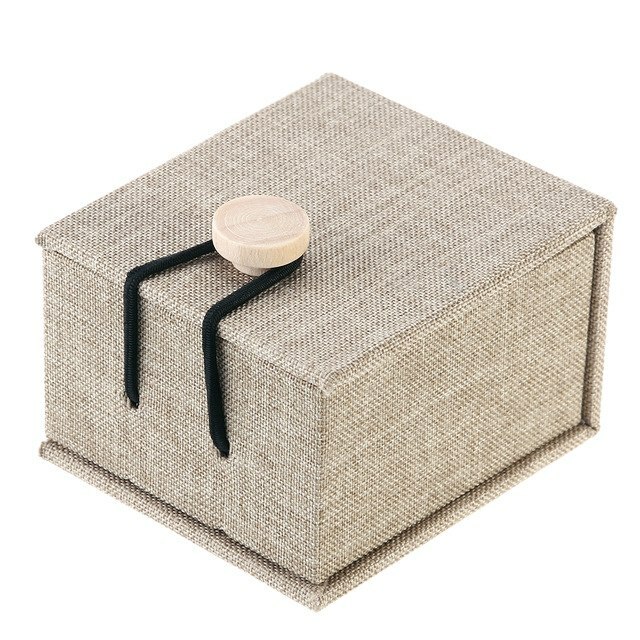 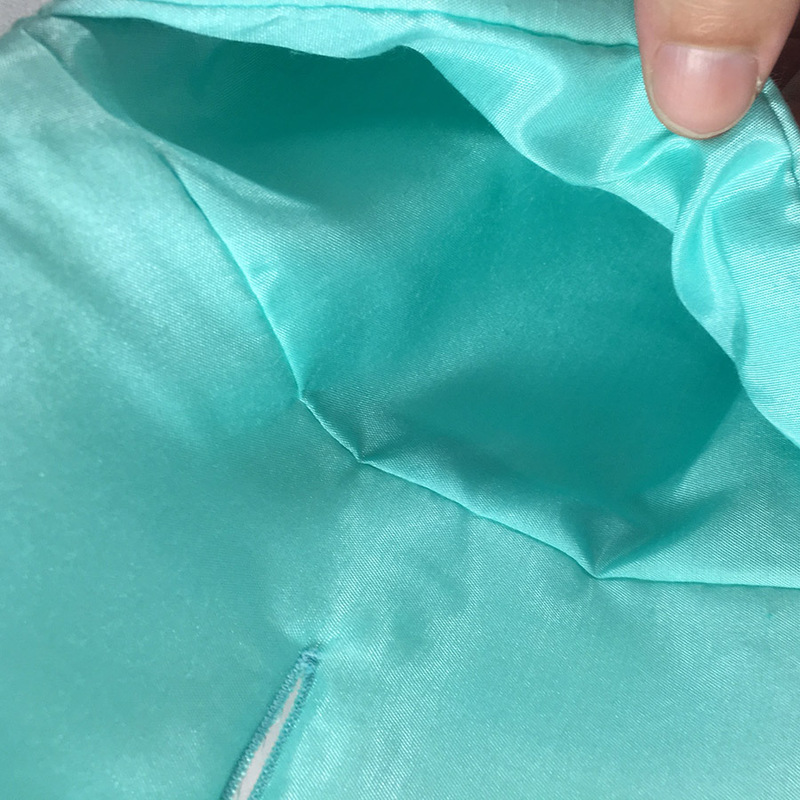 It’s fine padding protects the items placed inside. 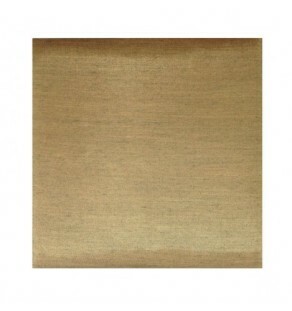 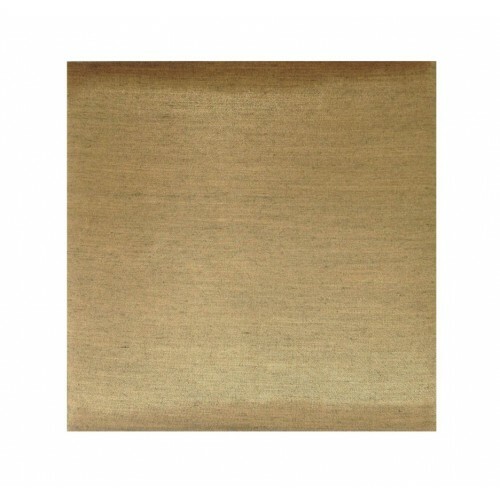 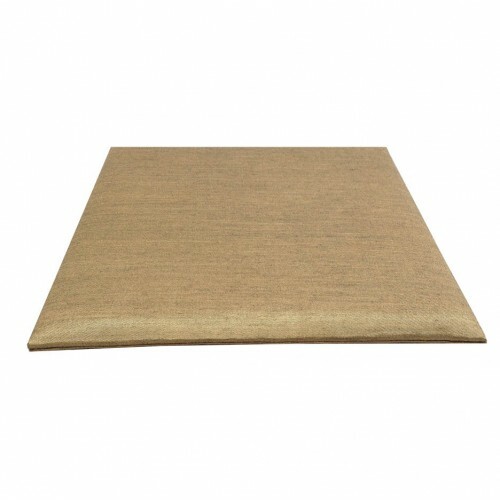 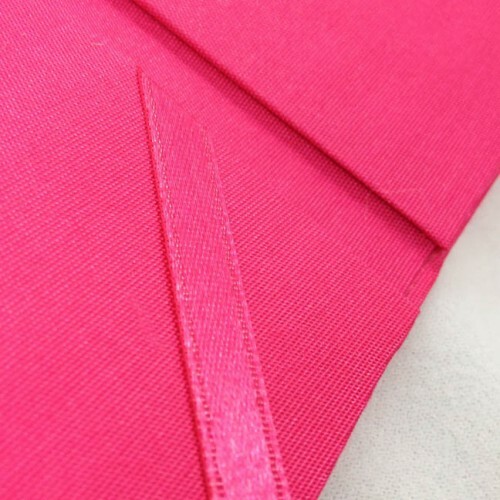 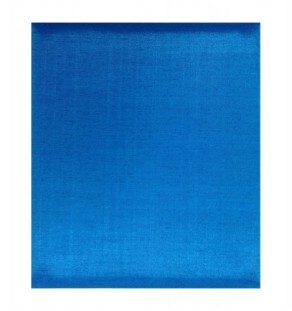 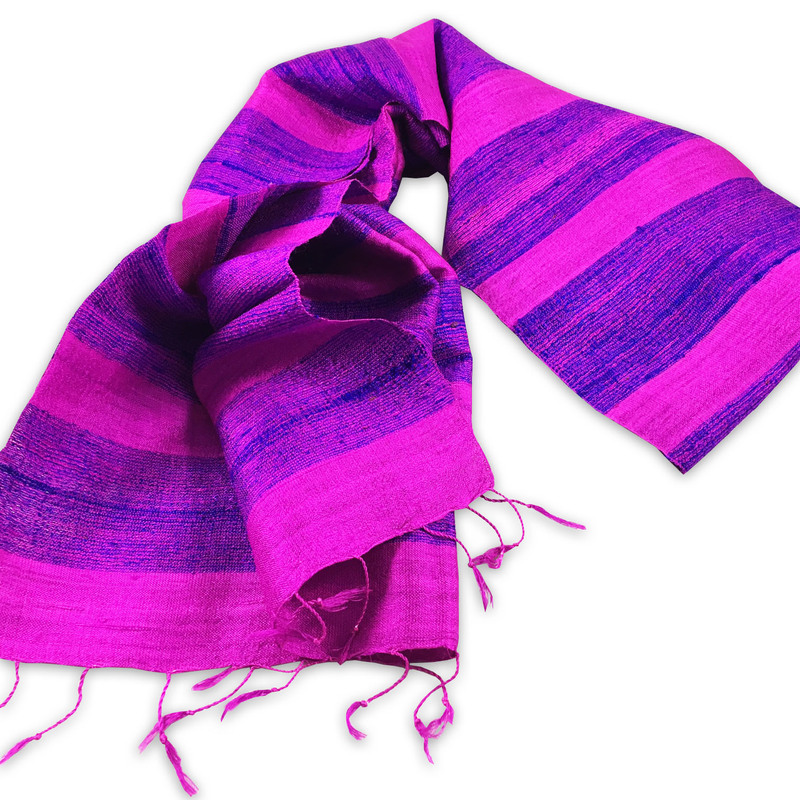 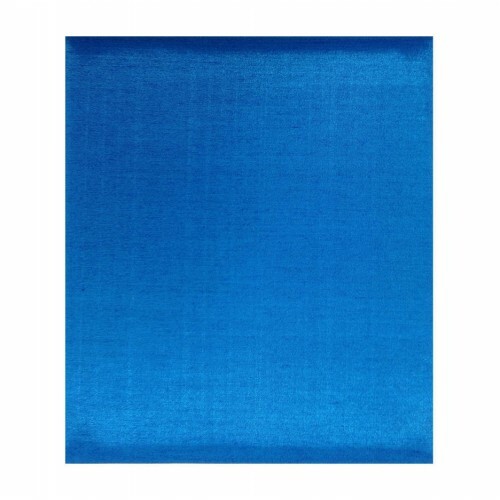 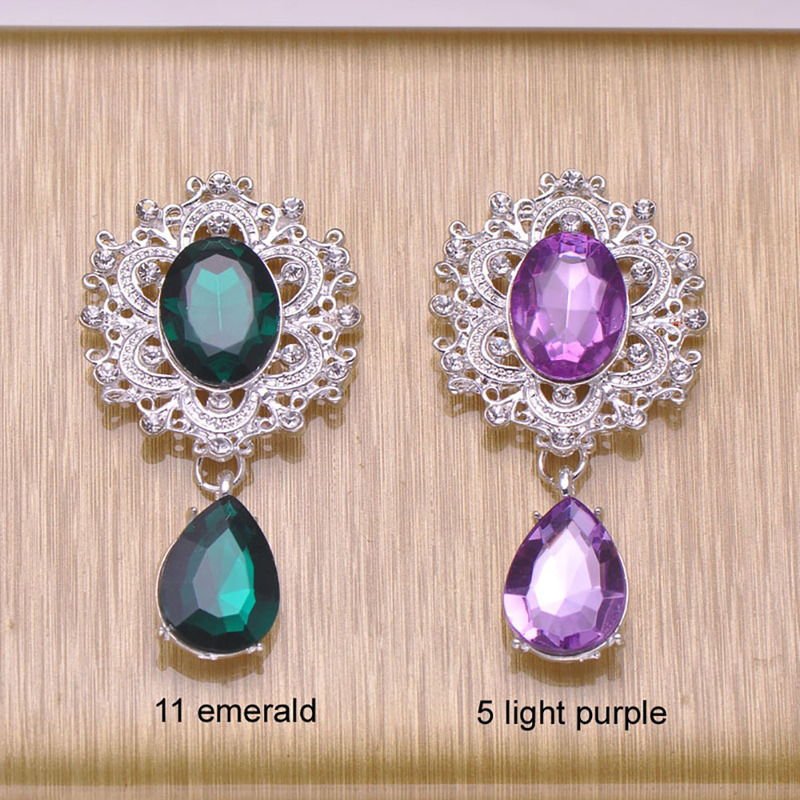 Available in various colors we find this color tone most elegant. 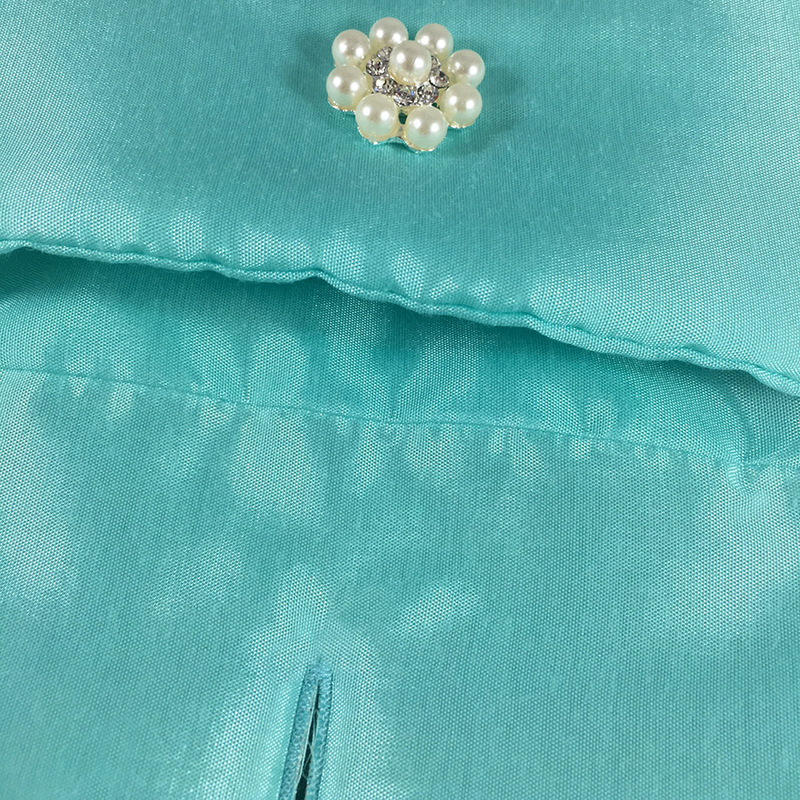 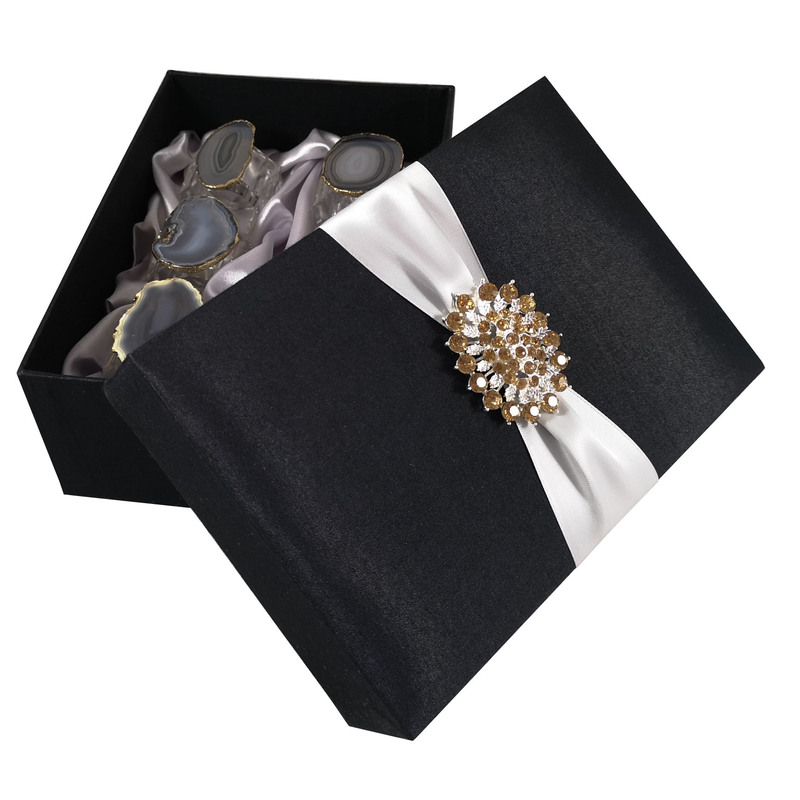 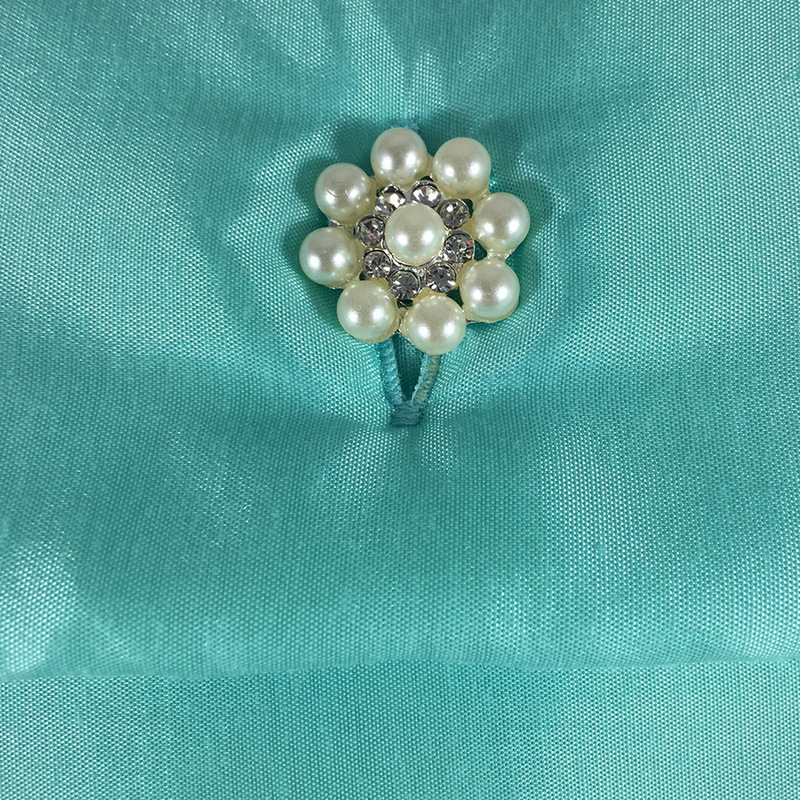 Simply the perfect match to our silver plated pearl buttons featuring ivory pearls and clear rhinestone crystal. 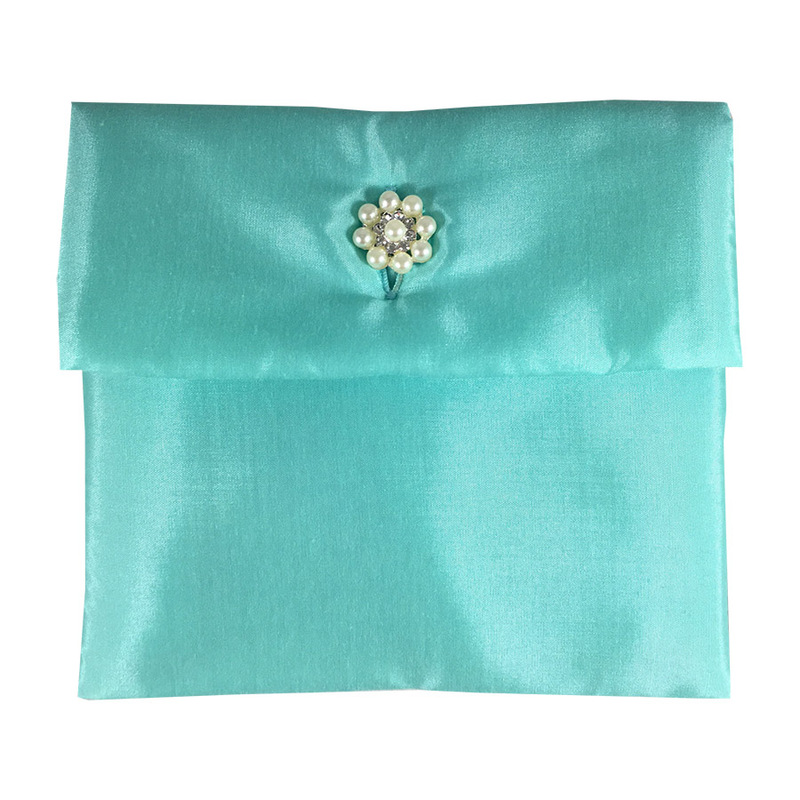 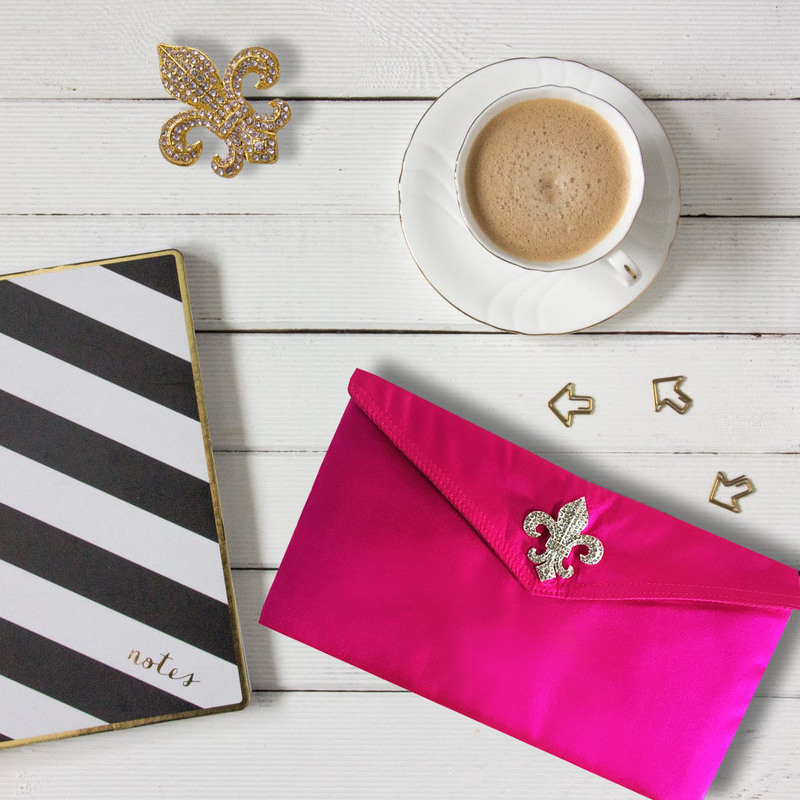 Clients have the choice ordering this silk pouch in their favourite size besides color selection. 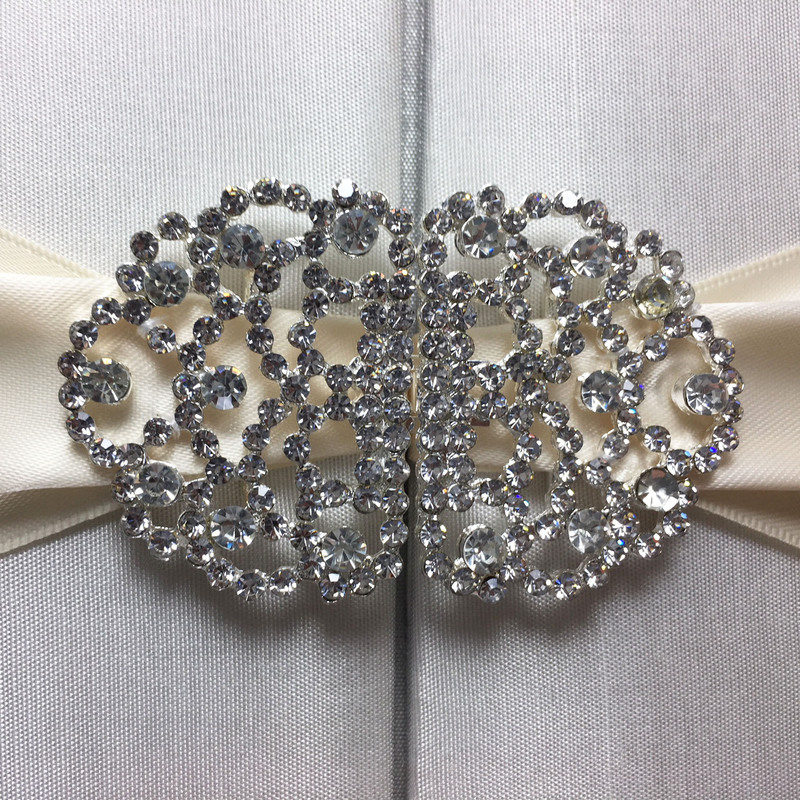 This is definitely this weeks favourite design. 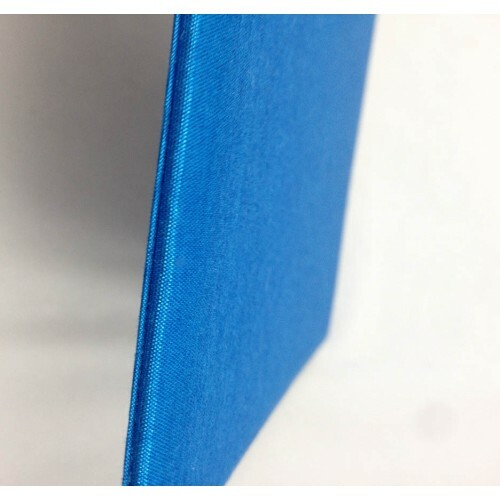 Color combination, design, look & feel is just perfect. 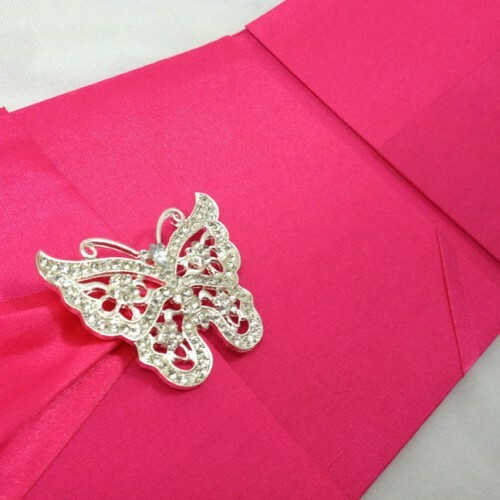 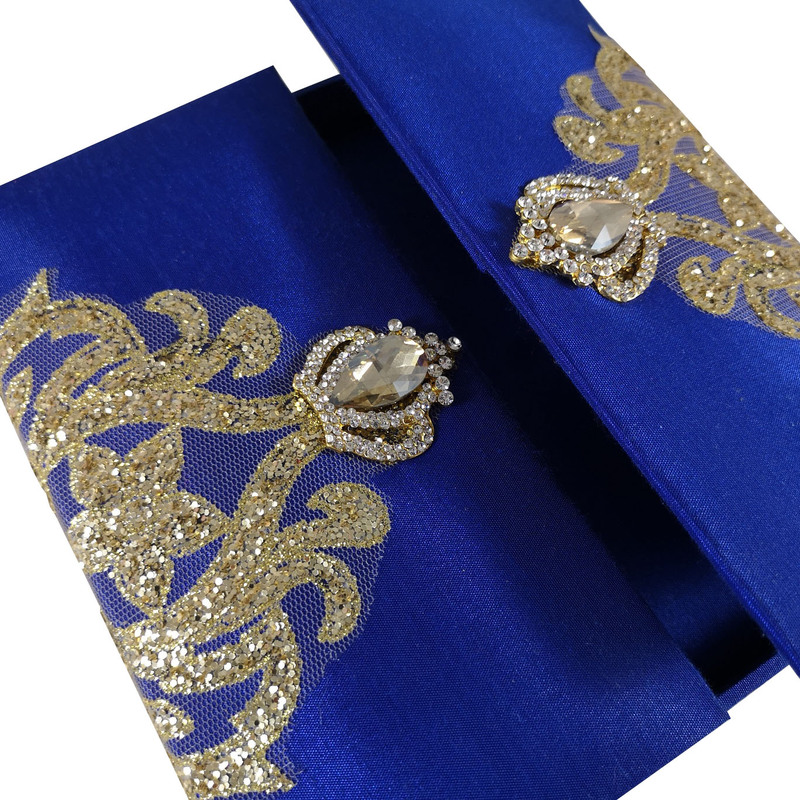 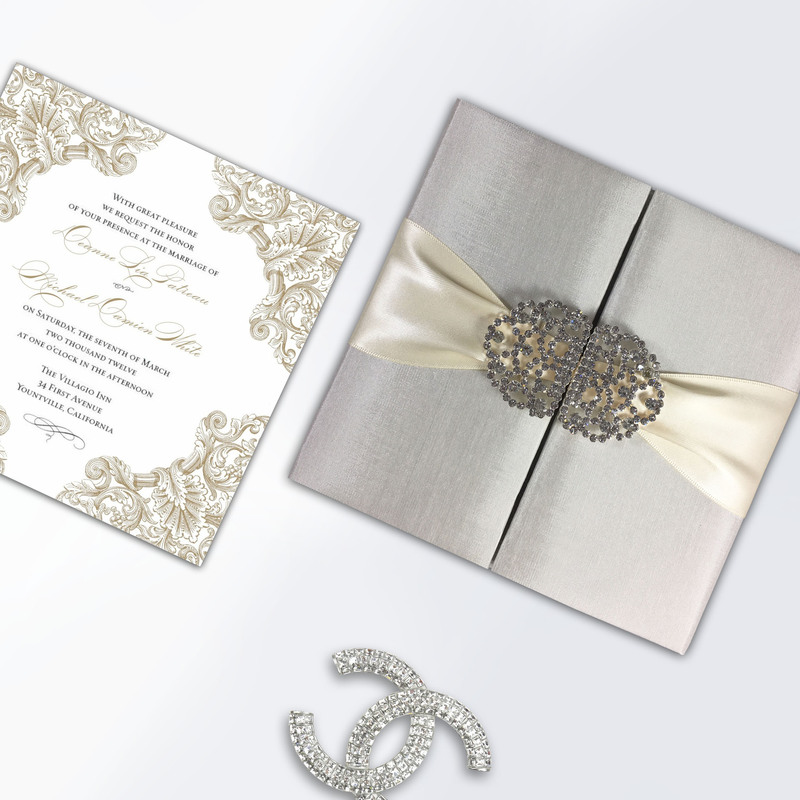 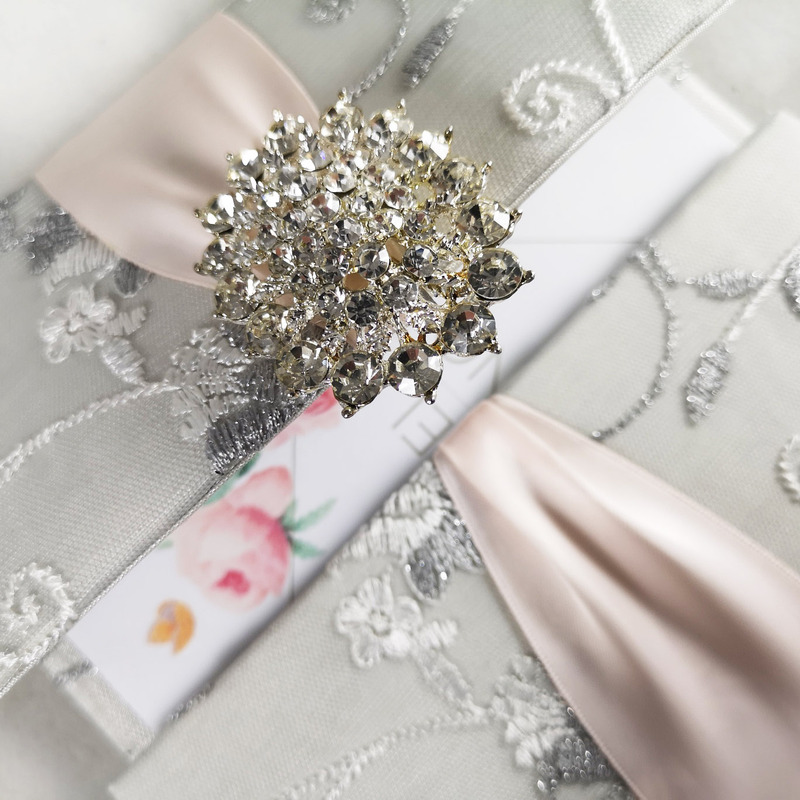 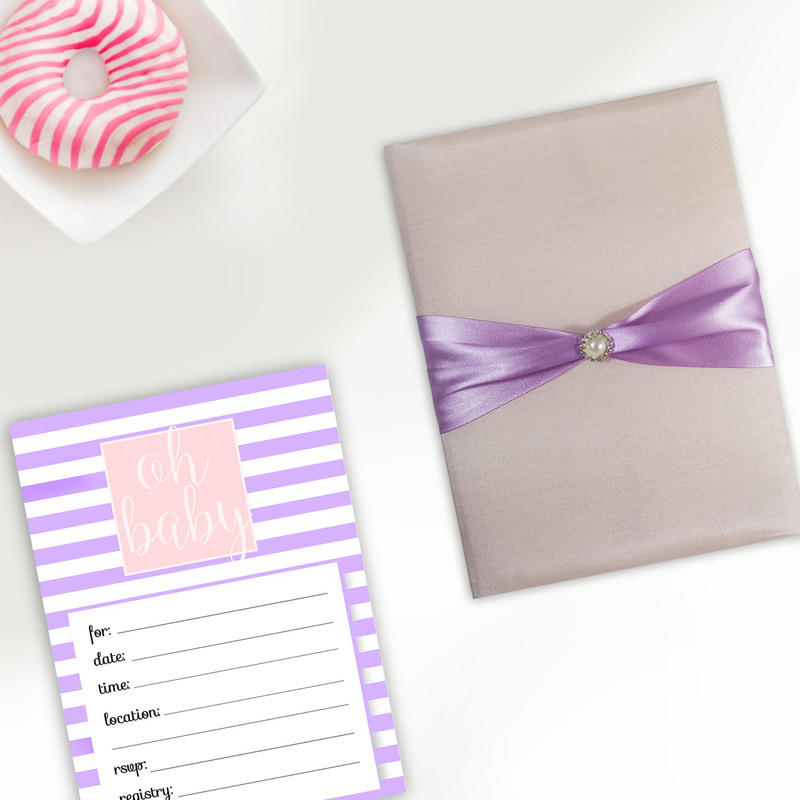 A luxury silk invitation design available at low cost.